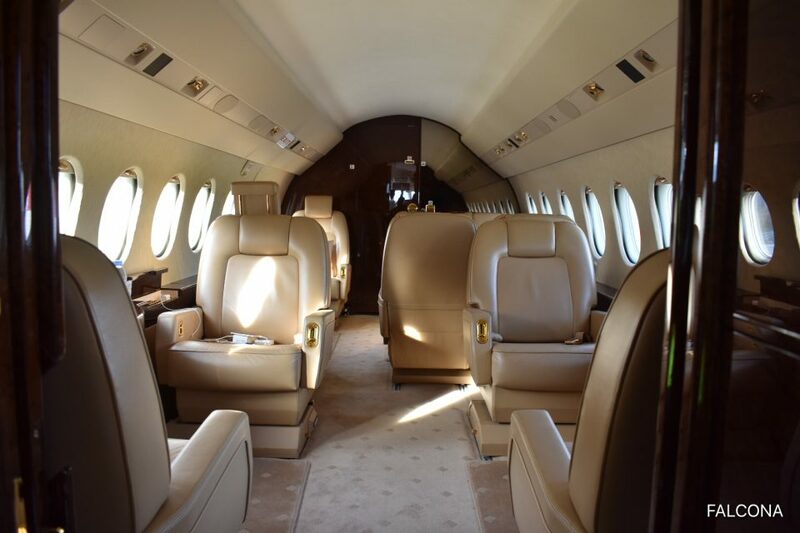 Charter the Dassault Falcon 2000EX for your next business or leisure trip. The Falcon 2000EX has all the features that a private jet traveller could want in an aircraft. It’s one of the world’s most popular large cabin jets. Quality design, spacious stand up interior and high class performance all contribute to the charter popularity of the Falcon 2000EX. 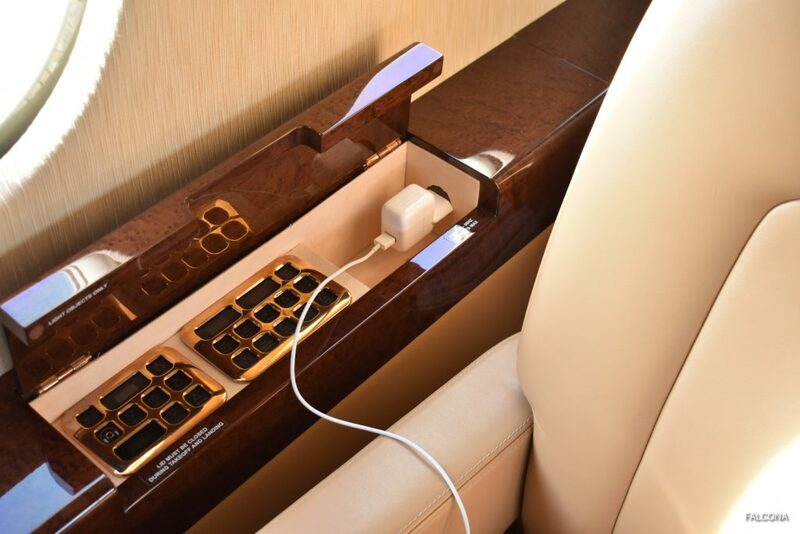 This beautiful passenger executive interior consists of a forward 4-place club with tables, conference table and non-recirculated air allowing you to arrive at your destination relaxed and refreshed. 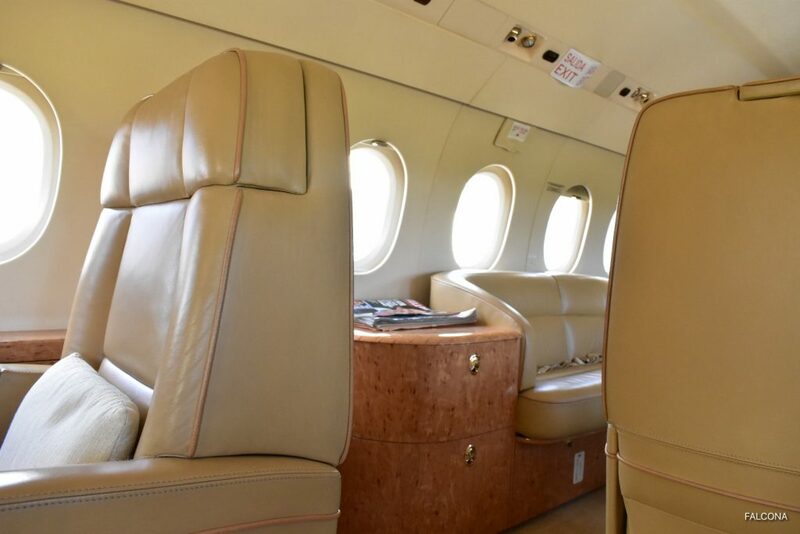 Perfectly suited for transcontinental and international flights, the Falcon 2000EX provides absolute comfort for up to ten passengers. Its cabin is broad and quiet, and there’s a flight attendant onboard every flight. The Falcon 2000EX is a longer-legged version of the 2000, offering a 25% increase in range. The main benefit is to allow westbound non-stop flights from London to the East Coast of the United States. Other cities that can be reached on this versatile aircraft include, Paris to Chicago, Dubai to London and São Paulo to Miami will also be achievable non-stop. Powered by Pratt & Whitney, two PW308C engines developed by Pratt & Whitney Canada specifically for this program. These are dual-FADEC-controlled, twin-spool turbofans with a take-off thrust rating of 7000 lb (SL, ISA + 17°C). The PW308C turbofans are equipped with Nordam’s advanced single-pivot thrust reversers. 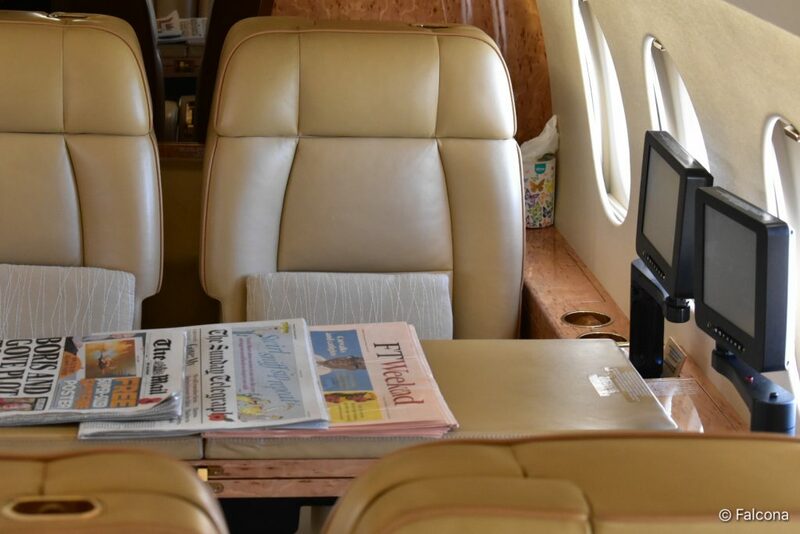 A Quieter Cabin The Falcon 2000’s popularity can, in part, be attributed to its quiet, comfortable, wide-body cabin. The Falcon 2000EX is known for being one of the quietest Falcons ever. Dassault’s new EASy flight deck, which is initially being offered on the Falcon 900EX, will be incorporated on other wide-body Falcons. 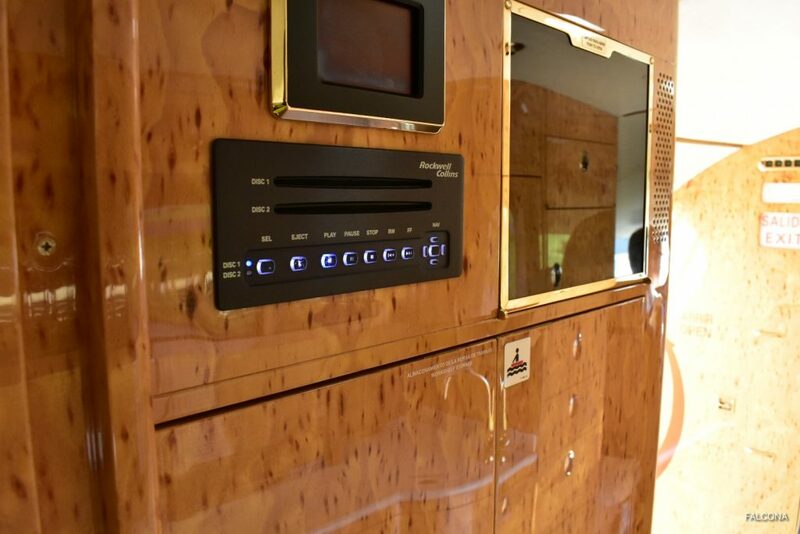 The cabin measures 26.3 feet long by 7.7 feet wide by 6.2 feet tall giving it a total cabin volume of 1024 cubic feet making it comfortable for 8 passengers, with the maximum configuration seating 10. The baggage compartment can hold up to 18.7 bags assuming your average piece of luggage is less than 5 cubic feet. The Falcon 2000EX has a maximum range (not including headwinds, high altitude, hot temperatures, or higher capacity) of 4502 miles and a maximum speed of 555 mph. The fully equipped galley is fitted with a microwave, oven and coffee machine allowing your flight attendant to prepare delicious hot meals for your flight. 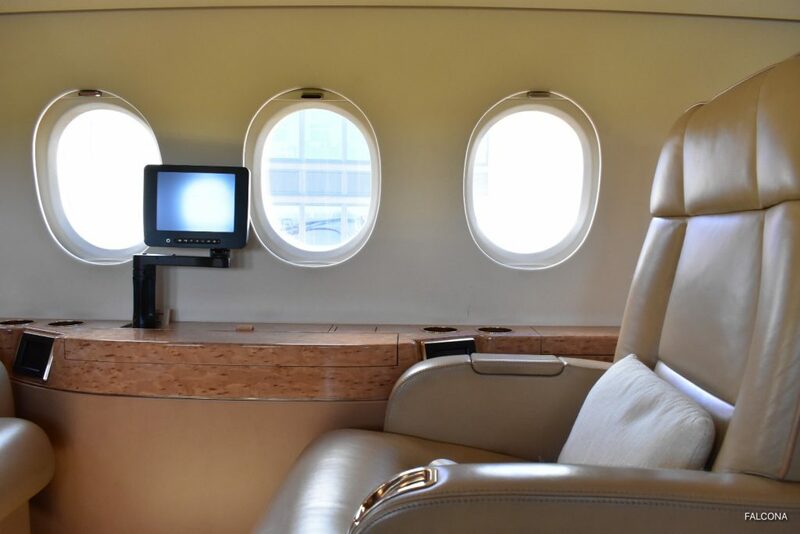 With a host of amenities onboard, the Falcon 2000Ex offers reliable, fast global data; swift broadband, iridium voice and fax, DVD and each seat has its own touch screen monitor. State of the art entertainment system, including Blu Ray, iPhone connection and sat phone system. 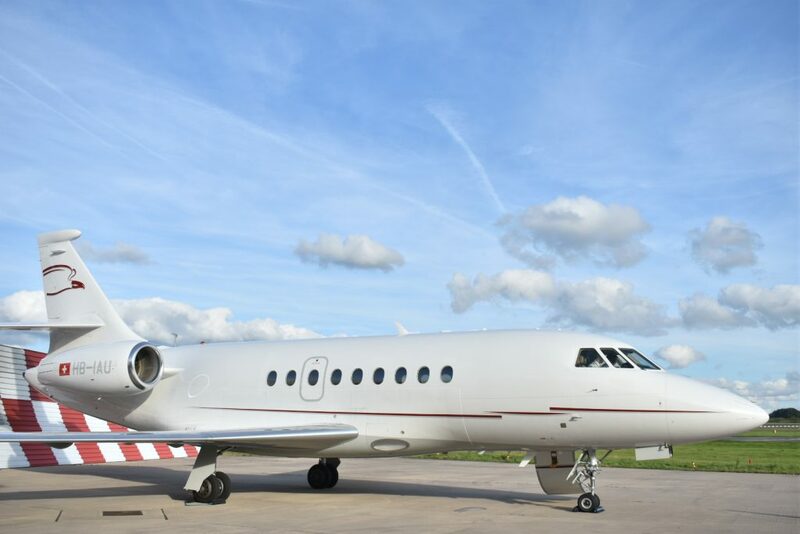 The Falcon 2000EX has a high speed cruise of 482 knots at 39,000 feet of altitude and its long range cruise speed is 421 knots at 43,000 feet. 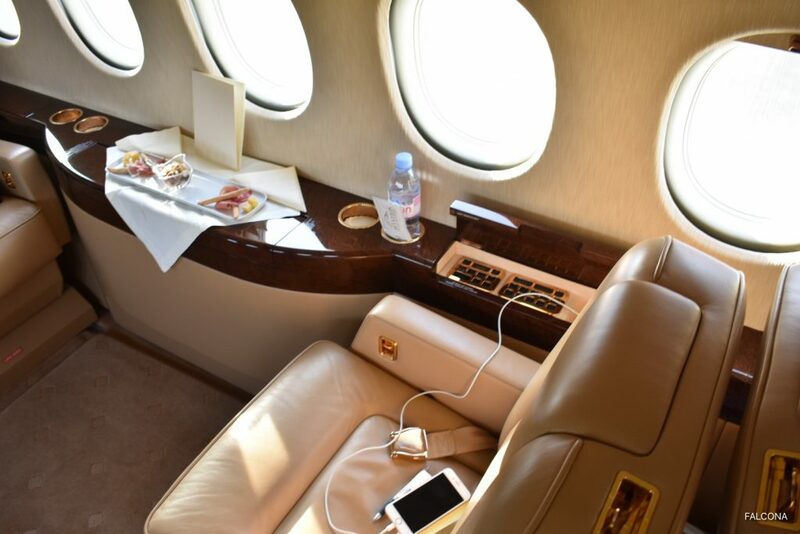 For that matter, few jets offered as much passenger comfort as does the Falcon 2000, such as seats that can be configured as beds. With its large cabin and transcontinental range and exceptional comfort, the 2000EX offers great performance and high capabilities. 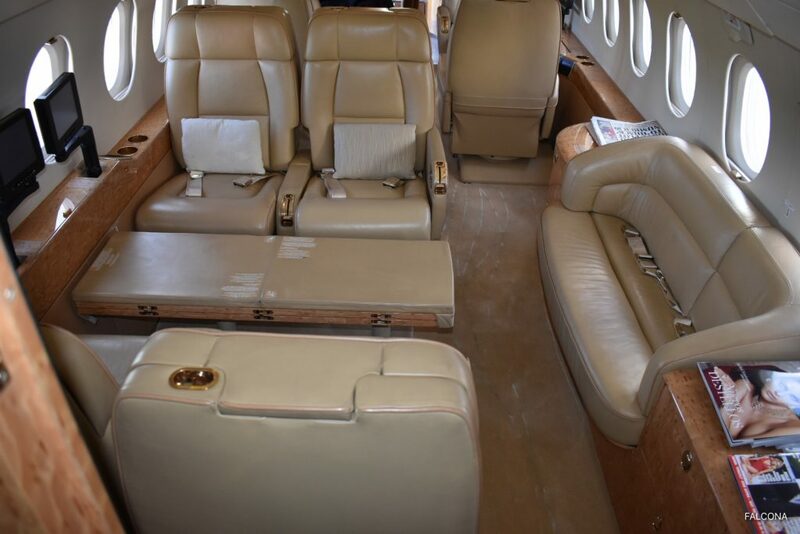 With a wide variety of seating arrangements available, the cabin can be implemented for up to 10 passengers. Maximum comfort is added with the seat’s ability to transform into beds, allowing passengers to lay down or sleep at any time. Additionally, 134 cubic feet of baggage space can easily hold up to 1,600 pounds of luggage. The flight deck is equipped with the Collins Pro Line 4 system which is designed to be as simple as possible. The system runs across four large display screens, which are close to the functions that they control for ease of pilot workload. Renowned for its comfortable, wide-body and quiet cabin. You enjoy a spacious full service galley, flat screen monitors, wi-fi and easy inflight luggage access. It offers a intercontinental range of 3,800nm seating for 10 passengers. The aft 4 person conference layout can be converted to a sleeping configuration, to ensure that you arrive refreshed and relaxed. 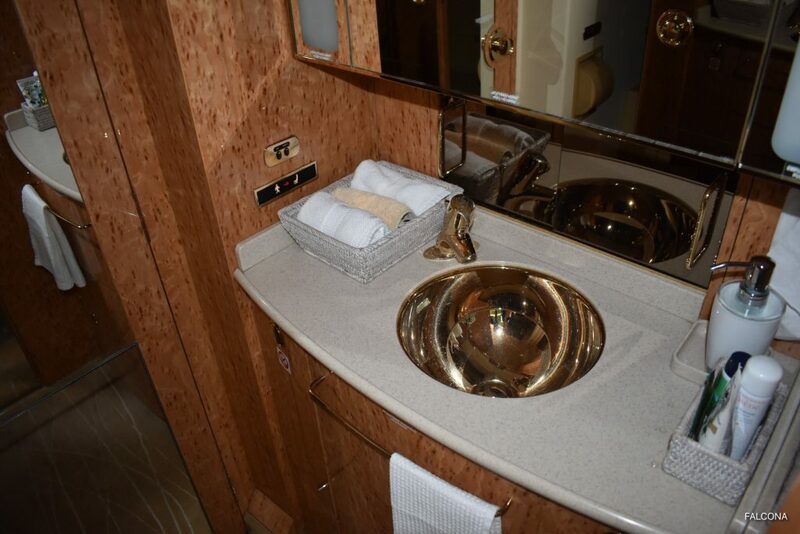 Stay fresh on your journey with a full stand up toilet and vanity sink. 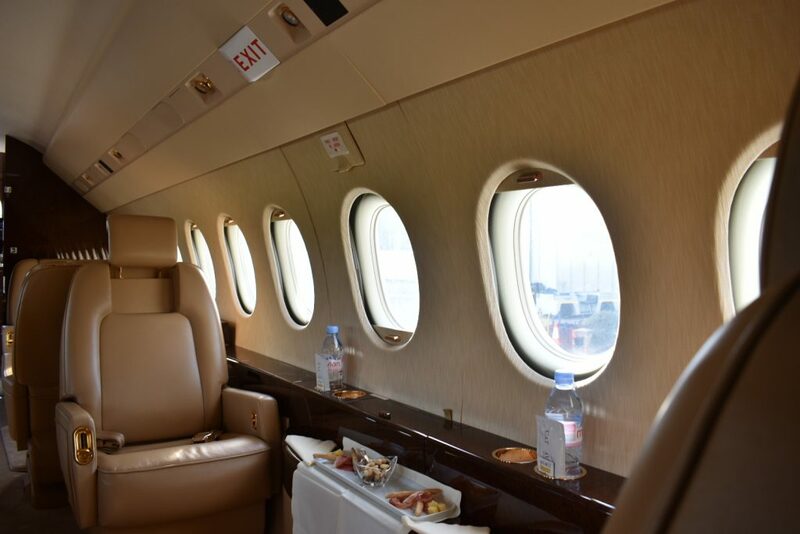 In summary the Falcon 2000EX is a great aircraft for business or pleasure for up to 10 people. It’s spacious interior allows you to move around the cabin in comfort, whilst being able to access all the amenities you need to conduct business. 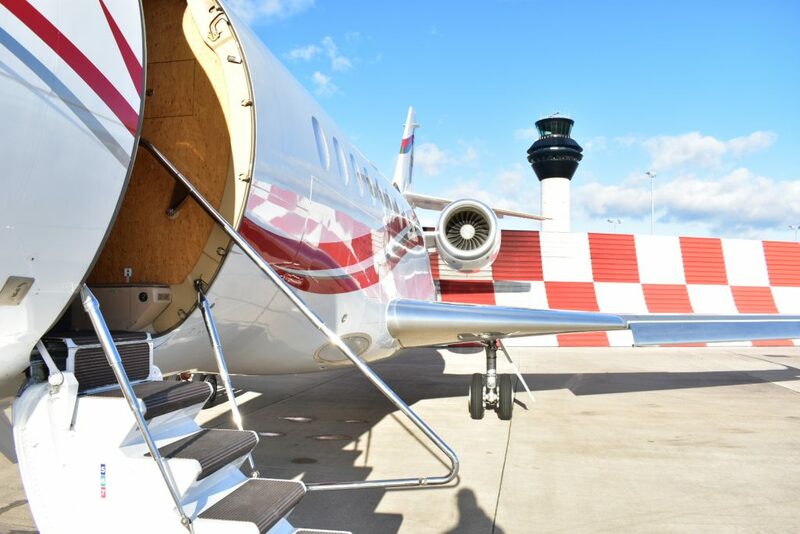 With improved speed, economy, and copious cabin space, the Falcon 2000EX makes for a popular jet charter choice. 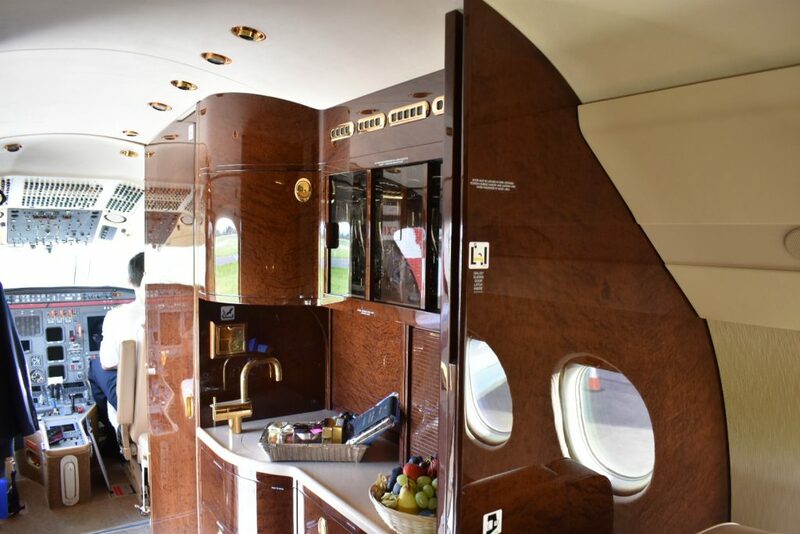 It’s quiet simply the best in its class private jet.